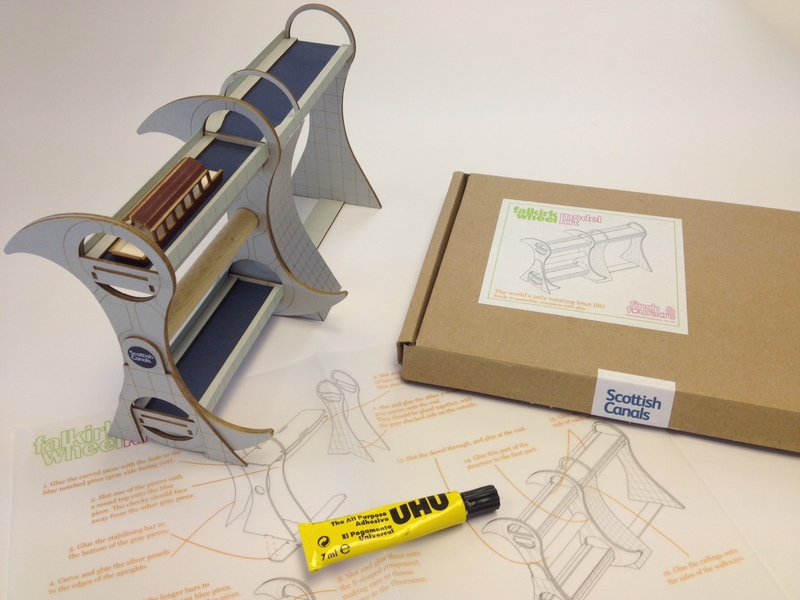 We have joined up with Glasgow-based modelmakers and designers, Finch & Fouracre, who have created a mini version of the Falkirk Wheel for us! The bespoke model kit is made from wood and cardboard, and can be assembled in around an hour. Each kit comes with everything needed to make the model. Are you feeling crafty? !